Arena Stage is in the middle of a rebranding campaign in preparation for the opening of the Mead Center in 2010. The first part of the rebranding campaign is finished, and we now have a new brand platform. The new brand platform embraces the fact that our audience's purchasing behaviors are very different then they were ten years ago when our last brand refreshment occurred and this was a little alarming for some of the Arena Stage staff. Thanks to the amazing work of Danny Newman, many marketing professionals have been trained since day one that the goal of any cultural institution is to design a complete season that can be packaged and sold as one product -- a complete cultural sampling if you will. Arena Stage operated under this belief for a long time, and only recently started selling subscription packages that didn't contain the entire season. We now recognize that although our full season subscribers are incredibly important and valuable to us, our acquisition campaigns rely almost fully on our mini-packages. Even up until last year, our subscription brochure primarily pitched full season subscriptions. This year, full season subscriptions are only mentioned once--on the order page. Instead, when a customer opens our subscription brochure, on the inside front cover in large text, they see the following line: "Pick the shows that are the most exciting and meaningful to you!" However, even some of the most inventive and cutting-edge companies don't seem to be grasping this concept. Consider Apple's launch of the iPhone. The iPhone was supposed to be one of the hottest developments in cell phone technology, but they made the critical mistake of trying to force people to use AT&T as a wireless carrier by signing an exclusive deal with them. 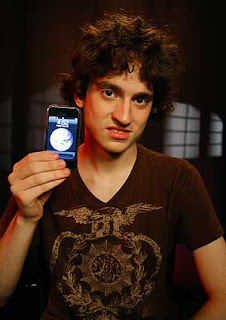 Then in walks George Hotz, a 17-year-old that dealt Apple and AT&T a lesson in marketing to millenials. He and four collaborators spent their summer devising a plan to unlocked the iPhone so that it can be used with any wireless carrier, and then posted the plan on the world wide web. He gained instant fame for teaching a world-wide leader in technology that they can no longer dictate to the customer, and that the customer now is in the position of dictating to them. Why does someone have to tell us not to lie? Several months ago I had the pleasure of listening to Ben Cameron speak at the National Arts Marketing Conference in Miami. If you haven't had the opportunity to listen to Ben speak, jump at the chance if you get it. One of the points he made was that potential audiences no longer believe the fake hype that marketers use when designing their advertising campaigns for productions. Seriously--if you listen to some of us, every show that we promote is going to be a life altering event. There are some of us that make promises that we cannot deliver, and our potential audiences are seeing through these promises. Arena Stage is in the middle of a rebranding campaign, and I have been clear that we need to stick to brand promises that we know that we can deliver. If you are doing consistently good work, then it will speak for itself. We need to be mindful to not "over promise." So I found an article on Playbill today that I found fascinating. British authorities have now made it illegal to pull a couple of words out of context from a review in an attempt to deliberately mislead consumers. We have all been tempted after unfavorable reviews to use a reviewer's words against them, but once again we would be lying to our customers. The times have changed. Information flows too quickly for us to falsely spin or hype a show that doesn't merit it. Be strong. Don't give into temptation. Or else you will pay for it later (literally if you live in Great Britain).